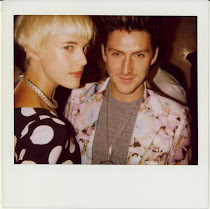 Acid Burn - Short Film // Agyness Deyn and Matthew Beard from Acid Burn on Vimeo. First of all is this short film that came to me via anonymous comment. Hope you enjoy it as much as I did. Even the end... which was good cinematic-ally speaking but bad as I am an Agyness lover. You'll understand what I'm talking about once you saw the short film. I am a huge fan of her too and love your blog since ever :D Thank you for those AWESOME posts!!!!!!!!!!!!!!!!!!!!!!! i just found this blog! what a great idea. Agyness is amazing. always has been. visit my blog as well! Where did your sister bought her sweater ? Lots of nice pictures and good inspiration.. These desert photos must be the most beautiful pictures of her ever! Especially the picture with the feather dress.. She looks amazing! I've missed you!! 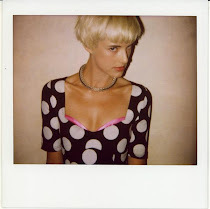 i cant wait to see a new post i this charming amazing blog! Ouch, es tan hermosa que duele. Ich les deinen Blog schon eine Weile und finde ihn toll,deswegen habe ich dich in einer Massenblogvorstellung untergebracht. Ich hab eigentlich nur deinen Header untergebracht als link, aber ich wollte trotzdem Bescheid sagen. Also wenn ich das wieder rückgängig machen soll dann melde dich und ich nehm dich wieder raus. Love all the pieces here! Especially the <a href="http://www.loudstarbazaar.com/shop/brand-starlyte-ethos/starlyte-ethos-jungle-dress/p_78.html>Indie clothing styles</a> collection she's sporting! Hey! I really really love your blog and what you're doing! This is the best go-to for dedicated Agyness fans! Are you still running this blog? I'm asking because it wasn't updated in the last months. It would be a shame if you would stop writing it. I'm sure there are people here who really appreciate your work and effort! What a Pretty woman! It will impress her fans more. Good luck on her career! Cool photos. She's really good in wearing those styles with her hair cut. Great! Well, I admire the precious time and effort you put into it, especially into interesting articles you share here! It was very interesting. Are you interested to know about granite and marble ft myers. Excellent points altogether, right on the spot. You just gained a brand new reader! This is very nice one and gives inspiring information. Very cool web site! Excellent. The picture also was fabulous. She looks indifferent yet fabulous. Great for you to cover this one. Thumbs Up! Awesome post amazing pictures you share. Keep Sharing!! keep sharing.. you have good stuff.. I like the valuable data you give in your articles. I'll bookmark your weblog and check again here infrequently. I am sure I'll take in an immense measure of new stuff fitting here! Favorable circumstances for the going with! !